Don't forget this one...it was posted right after Buzz Aldrin....so that's a clue. Who is Tricky Dicky the violin player? That is where I got a bit confudduld. Stormee wrote: That is where I got a bit confudduld. No, but he does look a bit like him.....still thinking of yours. Another one where I know the face not the name. Our lad says it geeza from Star Trek or summut, Bill, Phil Gerrard. I still do not know, sod it. Stormee wrote: Our lad says it geeza from Star Trek or summut, Bill, Phil Gerrard. 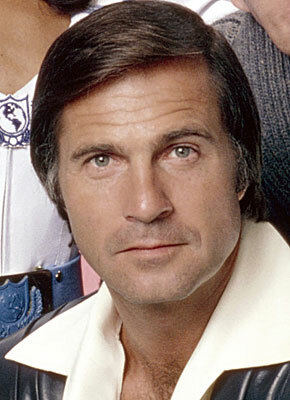 GIL Gerard it was....played Buck Rogers. Give us a clue for yours Stormee...I am picturing him starring with the likes of Kay Kendal in some old time British films. You had me beat on that one. Stormee wrote: You had me beat on that one. Well it's not Guy Richie again...we had enough of him last night. That is James Drury from The Virginian. I knew my research into The Virginian would pay off. I am useless with cowboys. Where have all of our pages gone? Syl wrote: I am useless with cowboys. He has been in dramuz, detective storiz, murder storiz just about anything includinga priest. Who has nicked OUR pagiz????????? Awww.....I liked looking back on the many pics sometimes when the forum was quiet. ♫ Where have all the pages gone, long time passing? ♫ Young girls have picked them everyone. Who has nicked our pick? I wouldn't have guessed Ward Bond Stormee. Syl wrote: Awww.....I liked looking back on the many pics sometimes when the forum was quiet. It may have been 4ever...it was a very long thread. Like you I would also sometimes check to see if the pic I wanted to post had been posted recently. Maybe our new mod is being over zealous with his sweeping brush. Syl wrote: It may have been 4ever...it was a very long thread. Oh, well...I'll just read and watch more often; my guesses are mostly incorrect as it is! But it was a fun thing to review. Original Quill wrote: ♫ Where have all the pages gone, long time passing? No idea, actually. I could poke around and try to find out, but I really don't feel like it. Maybe Sponsored Content nicked the posts. Loss of energy. A classic sign. I remember when I was 41...and turning. Que sera sera. Syl wrote: I wouldn't have guessed Ward Bond Stormee. Would not know if you told me. ya got me. Scottish actress, Tilda Swinton. Her nose is unmistakable. Did not know that one. grrrrr. The guy in that pic reminds me of Ryan O'Neal around the eyes. But the mouth curls up. So..I don't know. Original Quill wrote: The guy in that pic reminds me of Ryan O'Neal around the eyes. So the man is Ryan O'Neal, you say? Or did you? I only posted O'Neal's pic to show the similarities, not for guessing. I'll leave the woman for someone else. 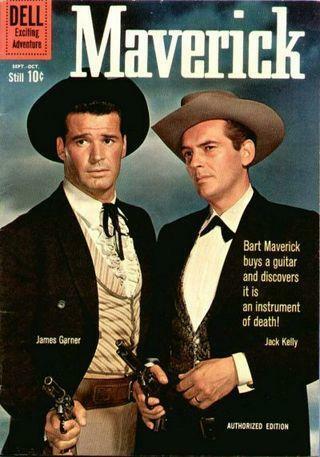 The other half of the 'Bat Masterson' "MAVERICK" duo---James Garner!!! aspca4ever wrote: The other half of the 'Bat Masterson' duo---James Garner!!! Like 4ever said the colour pic is lovely James Garner (Maverick) I have no idea who the couple are...he is definitely not Ryan O'Neal though. The lady has a similar face to Mitzi Gaynor....but it's not her. The lady sang with Bob Hope for years, Francis Langford. That looks like Penny Marshall, sister of Garry Marshall. Nope Quill...she is an English actress. Paul MacCartney bird. J A.
I knew you (or Mrs Stormee) would get that one. Syl wrote: I knew you (or Mrs Stormee) would get that one. Georgina Hale....do you remember her playing 'Budgies' wife? Syl wrote: Georgina Hale....do you remember her playing 'Budgies' wife? The big gruff scotsman...I remember him too. I had a bit of a teen crush on Adam Faith...then I found out he was very small and I went off him a bit.